Writing in an anecdotal and approachable style, Tom Wright helps us to see the great sweep of the letter to the Romans. 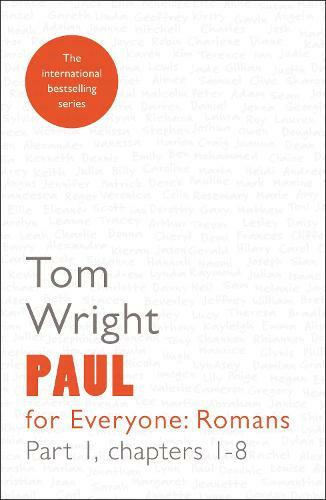 Tom Wright has a rare gift for communicating his understanding and enthusiasm to non-specialists. He is one of the few people alive today capable of undertaking a project such as the For Everyone guides.Section by section, the translation is accompanied by his eye-opening comments on each passage. Each short passage is followed by a highly readable discussion, with background information, useful interpretation and explanation, and thoughts as to how it can be relevant to our lives today. No knowledge of technical jargon is required. The series is suitable for personal or group use. The format makes it appropriate also for daily study.